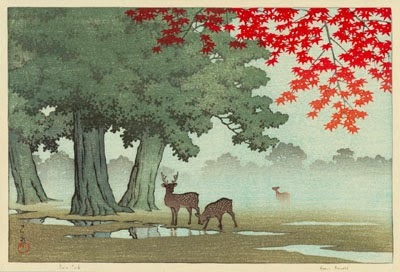 Nara (奈良市, Nara-shi) is the capital city of Nara Prefecture in the Kansai region of Japan. The city occupies the northern part of Nara Prefecture, directly bordering Kyoto Prefecture. 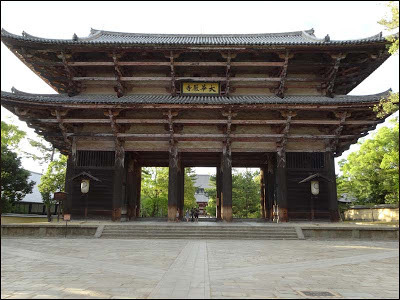 Eight temples, shrines and ruins in Nara, specifically Tōdai-ji, Saidai-ji, Kōfuku-ji, Kasuga Shrine, Gangō-ji, Yakushi-ji, Tōshōdai-ji and the Heijō Palace remains, together with Kasugayama Primeval Forest, collectively form "Historic Monuments of Ancient Nara", a UNESCO World Heritage Site. Tame deer roam through the town, especially in Nara Park. 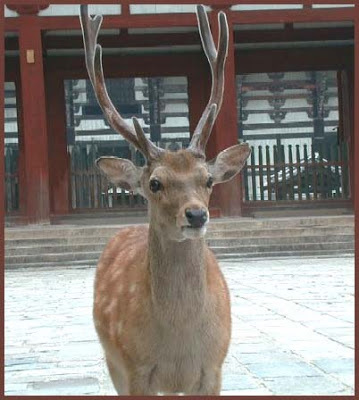 Snack vendors sell "shika sembei" (deer biscuits) to visitors so they can enjoy feeding the deer. Some of the deer have learned to bow in response to tourists' bows. They nudge, jostle, and even bite for food. lit. the aoni refers to a dark-green earth. 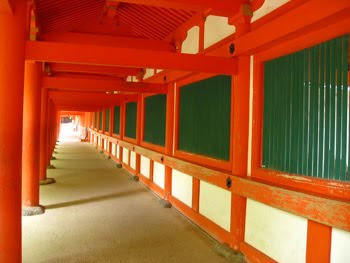 Many temples and shrines were built with these colors, so a walk in Nara was yoshi, was pleasing and this expression became synonymous with NARA (Heijokyo 平城京 (Heijookyoo). This expression derived from a famous waka poem. 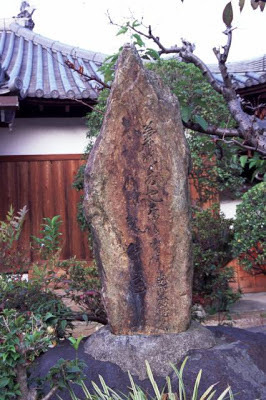 This deity is related to cinnabar (shu) and mercury. Some sources refere to the HANA as cherry blossoms, some think they are plum blossoms. Is at the height of splendor now. Like brilliant flowers in bloom! We have some separate entries about the temples, shrines and food of Nara. There are deities according to the Chinese theories of Yin and Yang and the five elements. Some have taken a Japanese version, residing in the mountains around the old capital of Heijokyo, now Nara.
. Mount Kaguyama 香具山 Ama no Kaguyama 天香久山 . This was written on the ninth day of the nineth lunar month, the festival of the chrysanthemums. It shows a peaceful scene of the gentle faces of the Buddhas and the lovely fragrance of the chrysanthemums.
. Chrysanthemum Festival (chooyoo 重陽) double nine .
. Temples, Haiku and Matsuo Basho 松尾芭蕉 . Basho had met with some disciples from Iga Uneo: Ensui 猿雖, Kasaya Ichibei 卓袋, Baiken 梅軒, 梨雪 and 示蜂. but alluding to a honka, original poem.